Adhesive Dermally Applied Microarray (ADAM) is a new drug-delivery system that uses microprojections (340-μm long) for intracutaneous drug self-administration. We formulated zolmitriptan, a well-accepted and commonly used migraine medication, for administration using ADAM. In vivo studies were conducted in female prepubescent Yorkshire pigs using ADAM 1.9-mg zolmitriptan applied to the inner thigh and left in place for 1 h. Pharmacokinetic studies showed that the ADAM 1.9-mg zolmitriptan was delivered with high efficiency (85%) and high absolute bioavailability (77%). Furthermore, in vivo evaluation showed a rapid systemic absorption with a median Tmax of 15 min. Skin biopsies of the treatment sites showed a mean depth of microprojection penetration of 105.4 ± 3.6 μm. 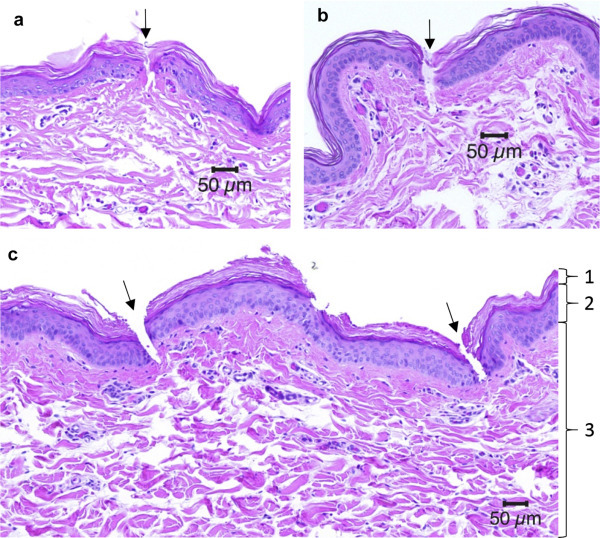 Mass spectrometry imaging showed that the zolmitriptan after 1 h of patch wear time was predominantly localized to the dermis. ADAM zolmitriptan was well tolerated with a transient mild-to-moderate erythema response. The findings in these studies, particularly the rapid zolmitriptan absorption profile after intracutaneous administration, provided validation to advance ADAM zolmitriptan development.